Kosambari is a popular Karnataka dish. Hesarubele Kosambari is nothing but Moong Dal Salad. Moong dal is very easy to digest. This Kosambari is nutritious, It helps digestion and is good for constipation. You can have 1 bowl of this salad as your breakfast also.It is a traditional dish or salad which is prepared on festival days and is served as a part of the meal. It is a raw, refreshing and cooling salad dish and is very easy to prepare. There are many variations in the preparation of kosambari. 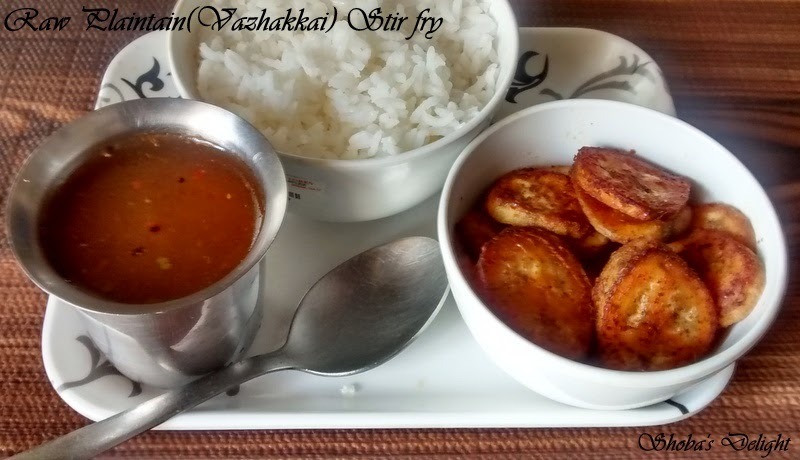 I am going to present you the basic kosambari dish. You can add grated carrot also. 1. Soak spilt yellow moong dal for 2 hours.Drain the lentils and transfer to serving bowl. 2. Now add chopped cucumber pieces ,green chillies, grated coconut, salt, lemon juice and coriander leaves and mix well. 3. Add salt just before serving the dish to avoid water oozing from cucumber.Tasty and a healthy salad is ready within minutes.Enjoy your festival. HAPPY UGADI TO ALL MY FRIENDS AND RELATIVES…….. Some of them like to do seasonings.You can go for it without hestitation.Temper with some mustard seeds,Curry leaves and dry red chillies. Technorati Tags: Karnataka recipes,Ugadi festival recipes,Kosambari recipes,Karnataka meal recipes,Neivedyam recipes. Tomato poori is flavoured with tomatoes and mint leaves.Yesterday when I was thinking that I should prepare something new type of poori. Though the recipe sounds rather simple, regular kneading is not enough.So wish, you’ll give little bit more extra pressure while kneading. 1. Make a thick puree out these tomatoes .Put tomatoes in boiling water.Remove from the water after sometime and peel the skins.Put the tomatoes in a mixie and make a puree. 2. Actually I chopped the tomatoes and ground along with green chillies and cumin seeds.In a broad vessel,add wheat flour, sooji,finely chopped mint leaves,caraway seeds,asafoetida, salt, oil and mix well.Run this ground tomato mixture over wheat flour. 3. Knead everything to a form a stiff dough. Make equal parts out of this. Knead them into small pooris with uniform thickness. 4. Now make small balls from the dough and dust with flour and roll to make medium thick pooris. 5. Fry from both the sides till golden in colour,remove from the pan and drain on a paper napkin. Serve hot with Methi dal(I will upload later on). Technorati Tags: Poori recipes,South Indian breakfast recipes,Indian food recipes.,Tomato recipes,Mint recipes,Vegetarian Recipes. Drinking this very easy and cost effective juice can help reduce your blood pressure. This juice is an excellent cleanser and has a high content of iron. In blending you will use all of the vegetables, nothing is thrown away and the drink will have a smoothie type texture. Beetroot should only be used in its raw state. Beet juice imparts little or no flavor to foods, so it can be a better choice than other natural red food. The more juice used, the darker the resulting color. Beet juice stains, so be careful to protect countertops with a piece of plastic or a sheet of newspaper. Do not drink beet juice in great quantities as it is very powerful and can make you feel sick. The pomegranate sweetens the juice, giving it more juice. Technorati Tags: Drinks,Beetroot juice recipes,Carrot Recipes.,Spinach recipes,Pomegranate recipes,Healthy vegetable drinks. 1. Put sugar,water,tea leaves,nutmeg, mint leaves and cinnamon in a saucepan. Simmer 10 minutes. Add the orange zest into the pan. Cover. Cool and strain. 2. Add the orange juice, lemon juice. In a tall glass,fill the bottom rim completely with the orange slices Then followed by ice cubes .Now pour the orange ice tea into the glass.Enjoy your drink. Raw plantain is a decent foodie and they’re loaded with goodness. Raw plantain contains iron, Vitamin C and Vitamin B, and is also a great source of energy.This dish is simple, inexpensive and made with readily-available ingredients, which is why it turns up on the lunch menus of many homes one thing about raw plantain you need to scrape off some of the green skin, but not all of it. 1. Peel the raw plaintain and set side dipping in salt water.In a wok, pour in the oil and when it gets hot, and onion . 2. Stir around till the onions get brown. Now add all the powders and wait till the raw smell goes off. 3. Then add the raw plantain with little water and salt. Stir properly and take care not to break the plantains. 4. Cook till the raw banana has cooked properly. 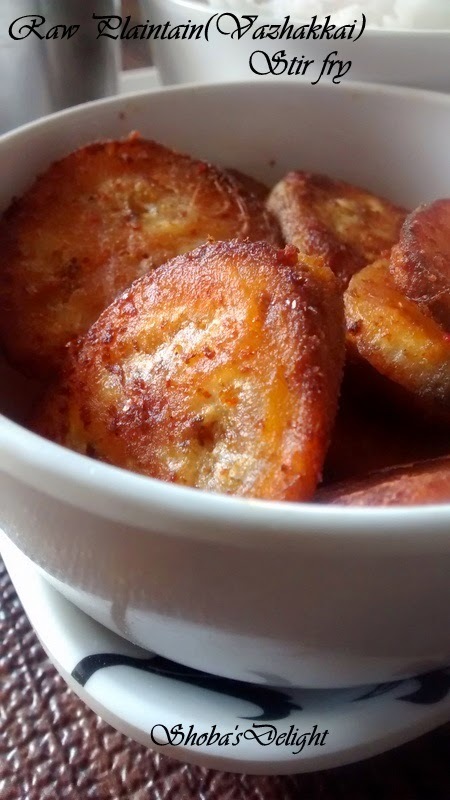 Always try to get the raw plantain which is small in size so that it’s easy to cook. Technorati Tags: South indian recipes,Vegetarian recipes,Dry curries,Stir fry recipes,Poriyal recipes,Indian food recipes,Tamil nadu recipes.